James Gage studied design with Thomas Skelton, Gilbert V. Hemsley, Jr. and Ming Cho Lee. Previous experiences include resident lighting designer/teacher at the University of Wisconsin-Madison and the University of California-Berkeley. Regional theater credits include designs for the Yale Repertory Theatre, Buffalo Studio Arena, Connecticut Stratford Shakespeare Theatre, Cincinnati Playhouse in the Park and Boston's Loeb Theatre Center. 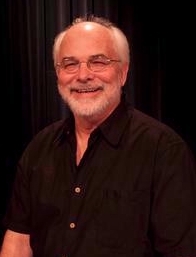 He has been resident lighting designer for the Connecticut Ballet Company, ODC/San Francisco, The Wisconsin Ballet Ensemble, Oakland Symphony Pops Series, Players Theatre Columbus and the Ensemble Theatre of Cincinnati (ETC). Gage recently designed world premieres with Edward Albee, Lee Blessing and Drew Frasher, which received acclaim for ETC. Other design credits include the Kentucky Opera's performances of Tosca, Carmen, Falstaff, The Barber of Seville and The Magic Flute, as well as designs for Opera Memphis, Indianapolis Opera, the Connecticut Dance Festival, the Cincinnati Ballet, the Festival of the Lakes in Madison, Wisconsin and the Burt Reynolds Dinner Theatre. Industrial productions include The Spirit of Milwaukee, The Future is Now at the MGM Grand in Reno and Paramount Productions' Game On and Cheers. He has designed Vegas acts for Lily Tomlin, Joey Heatherton, Bernadette Peters and Ashford and Simpson, as well as Joseph Papp’s' NYSF production of Andre Serban's Sganarelle.... USITT award winning designs for CCM include The Cunning Little Vixen, Evita, Hair, A Chorus Line, The Knot Garden, Richard III, Into the Woods and the U.S. premiere of The Chalk Circle and Zaide. At CCM he is the head of the MFA and BFA lighting design program, and his students have been cited for 18 USITT and SETC awards. Recently he adjudicated major design competitions in Orlando and Cleveland and he has conducted master classes at University of Nevada-Las Vegas, Wayne State University, Northern Illinois university, Ohio University and Kent State. Gage is a member of United Scenic Artists of America; USAA-829. In 2006 Mr. Gage was the recipient of UC’s inaugural UC-21 Presidents Award of Excellence in Teaching. MFA, Yale School of Drama .